56 pages | 22 Color Illus. 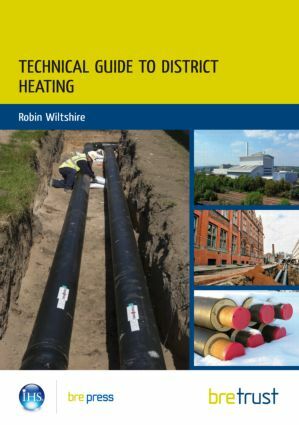 This guide is aimed at all involved in the technical aspects of district heating networks. It provides a source of information when developing new schemes or refurbishing existing schemes, focusing particularly on technical rather than financial issues. The importance of other low-carbon sources of heat including thermal renewable energy is emphasized. Comprehensive technical information is presented, with sections outlining system and component design, and operation and maintenance.